“I would hope that my co-musicians see me as a melodic, intuitive and sensitive player. I would like to be seen as someone who serves the song rather than my ego, as someone who’s supportive and always keeps ears and heart wide open. “I aim for a balance between good timing, playing technique and the ability to create melodies and communicate emotion through music. The notes you don’t play can be more important than the ones you play. “My first bass was a Cort Curbow five-string fretless, and I haven’t found a perfect six-string bass yet, but I’ll keep on looking. I currently play a Fender Precision from 1965 as well as vintage Kraftsman, Rickenbacker and Ibanez basses, with a variety of TC Electronic and EBS effects and amps. I played with EBS amps for years when I was a student at the Royal College Of Music in Stockholm, so when I started touring with David Crosby, EBS seemed a natural choice for me. 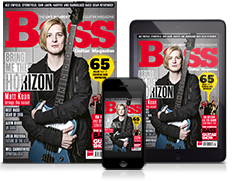 “Jaco Pastorius, of course, was always a great influence, but I’d also mention Jimmy Johnson. He’s so incredibly melodic, even while playing the most complicated music styles. The work he did with Allan Holdsworth is unbelievable - and then listen to him with James Taylor. He’s exactly what the music needs. 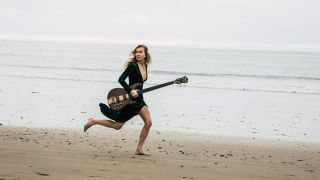 “My other bass heroes are Lee Sklar, Carol Kaye, Gary Willis, James Jamerson, Paul McCartney, Raul Vaigla and Bob Glaub, and if I could get the bass tone of any album ever released, I would choose Joni Mitchell’s Don Juan’s Reckless Daughter from 1977.